Do you want the ULTIMATE in sun protection?!?! 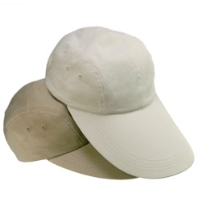 Then you must get this new polyester/cotton cap with pre-curved extended visor. It has a green underside and velcro closure. Not only will the sun be out of your eyes, it'll be out of your whole face!